While there is currently no cure for osteoarthritis, there are a number of lifestyle modifications that people can make to help ease symptoms like pain, fatigue, and swelling. The Centers for Disease Control and Prevention (CDC) recommends taking part in self-management education programs (SME), increasing physical activity levels, and managing weight. In support of these recommendations, the CDC Arthritis Program lists a number of programs that they consider arthritis-appropriate evidence-based interventions. Links to these and other information are included below. Self-management education (SME) includes a variety of programs, usually held in the community like a local YMCA or Parks Department, help adults with a chronic condition learn how to manage their condition, prevent its short- and long-term health consequences, and achieve the best possible quality of life. Chronic Disease Self-Management (CDSMP) This is a classroom based program that provides tools to help manage symptoms related to chronic conditions. The workshops meet for 2.5 hours per week over 6 weeks. There is also a Spanish version of the program Tomando Control de su Salud (Spanish CDSMP). 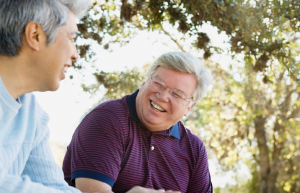 This program leads to significant improvements in ability to do social and household activities, mental health, reduction in symptoms like pain and increased confidence in your ability to manage chronic conditions. 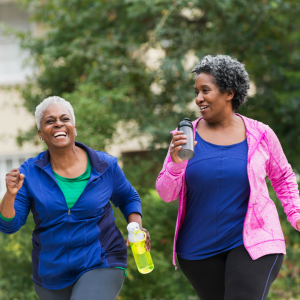 Similar to self-management programs, physical activity programs can help you learn to manage your symptoms while also helping you become more active. Physical activity can decrease pain and improve physical function by about 40% and may reduce healthcare costs. Active Living Everyday (ALED) This is a classroom-based program for people who want to become and stay more physically active. This workshop meets for 1 hour a week for 12 or up to 20 weeks. Benefits of this program include: increased physical activity and aerobic fitness, decreased stiffness, and improved blood pressure, blood lipid levels, and body fat. Fit and Strong! This group based fitness program was created for sedentary older adults who are experiencing lower-extremity joint pain and stiffness, but appropriate for all. This is a group based program that meets for 90 minutes 3 times a week. One hour of the class is focused on exercise such as flexibility, strength training and aerobic walking. The reminder of the time is spent on health education for arthritis management. This program improves lower extremity stiffness, pain and strength, aerobic capacity and symptom management. Walk With Ease (WWE) offers practical advice on how to walk safely and comfortably, while also providing lots of strategies to help keep you walking and overcoming challenges that can interfere with an exercise program. In both the instructor-led and self-directed version of WWE you are guided through a workbook that educates you on safe walking, exercise safety and symptom management. You can use the Arthritis Foundation Program Finder to find a class led program near you. You can learn more about the self-directed program on our Walk With Ease self-directed page. Enhance Fitness (EF) This program is open to adults of all fitness levels but was originally designed for older adults. This is a group based program typically held at gyms and fitness facilities. This is not a formal program so you can join at any time. Classes are usually held for 1 hour 3 times a week. Benefits include increased strength, improved flexibility and balance, boosted activity levels, and elevated mood. More resources on Active Living can be found HERE. Achieving and maintaining a healthy weight is important for decreasing the joint pain associated with OA. Learn more about managing weight and the role of weight loss is decreasing OA symptoms. More weight management resources can be found HERE.